You can reconfigure as already discussed OR use Local Scaling option available in Settings menu in the sliding panel. This option is available only when Astroberry is accessed with a web browser. It will rescale 1920x1080 to your screen resolution, whatever it is. I think you're absolutely right. In this view it's not even an image of even horizon, but particles sliding on it. There's quite nice explanation of the topic in this video. wvreeven wrote: Also, the term black hole commonly refers to anything within the even horizon and not just the singularity. Is even horizon part of a black hole? I think it is, as it is specific to this object, also as Schwarzschild's solution to Einstein's field equations. I have been a SM user for a while, but would like to give AB a try, where are links to download image file..? 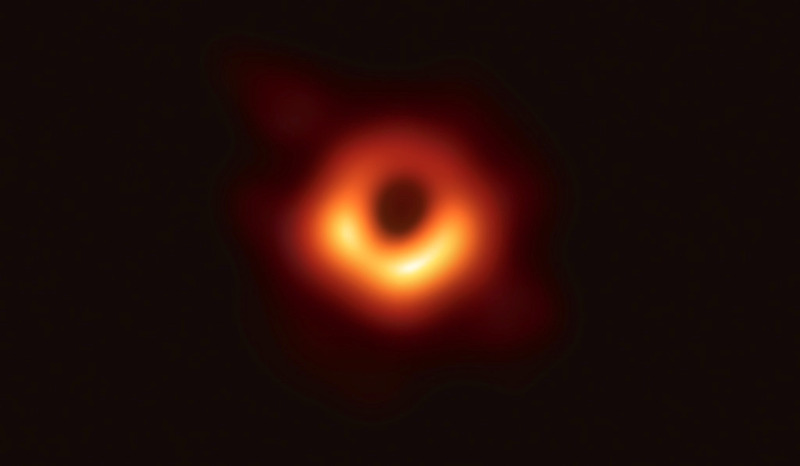 The image of the central black hole Sagittarius A* of Milky Way has been just released! I would add one thing to what Wouter already said - PHD2 uses binary libraries to support various cameras (e.g. ZWO). It might be that these libs are compiled for arm7 and you cannot recompile them... cause they're binary. A workaround would be to use PHD2 in INDI CCD mode - this way you actually use INDI driver for a camera and connect to it from PHD2. However, no guarantee that INDI drivers will handle it because they probably use the same binary libs. OK, I thought you compiled it yourself. It was removed from the sources some time ago. Just ignore it and use GPSD. If you're using usb dongle you need to set proper serial port in /etc/default/gpsd, default is DEVICES="/dev/ttyS0" but this points to Raspberry Pi hardware serial. After restart your system should recognize GPS. Also review posts here on the forum for GPS USB dongles. There's quite a few of them which might be useful for you. Astronomy geek. Keen on electronics, new technologies, IoT. Cybersecurity professional. Full time CEO. Conference speaker and post-graduate teacher. Astroberry Server core developer. Member of INDI development team.